VICT is suing the MUA and the CFMEU for potentially more than $100m over the dispute at Webb Dock last year. VICT has lodged documents in the Supreme Court to launch legal action against the MUA for contempt of court after the court granted an injunction against the union taking part in the picket. 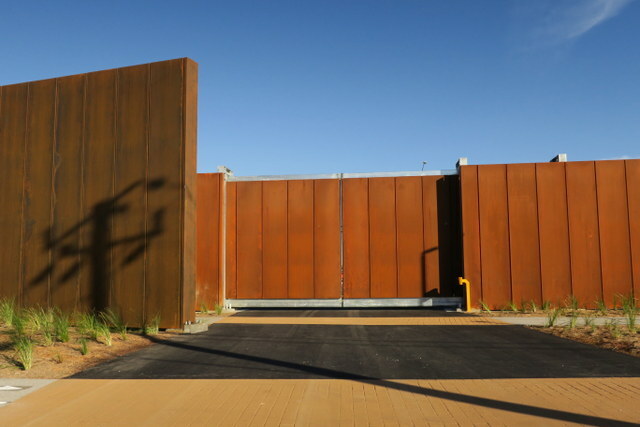 Behind these closed doors on Todd Road a dispute is underway between the MUA (Maritime Union of Australia) and VICT (Victorian International Container Terminal Ltd). The immediate issue is VICT’s refusal to offer shifts to a worker who had been refused a Maritime Security Identification Card – a precondition for working in the secure area of the Port. VICT’s Mr Anders Dommestrup said today ‘he was bewildered’ by the action since VICT could not employ a person without valid security clearance. The MUA maintain that 21 other workers also do not have this card but continue to work. The MUA have picketed the gate to the VICT terminal preventing trucks from accessing the Port. It’s a sensitive time, so close to Christmas, with containers of perishable goods like pears and prawns stuck on the wharf apron. Since 2015, the MUA and the CFMEU have been in discussions about merging. In a recent ballot, MUA members voted 87% in favour of the merger. The TCFUA (Textile, Clothing and Footwear Union of Australia) will also become part of the merged organisation. The Federal Government is trying to prevent the merger. The MUA itself was formed in 1993 from a merger of the Waterside Workers Federation and the Seamen’s Union. The Seamen’s Union came into being at a meeting at the New Britain Hotel in Stokes St, Port Melbourne in 1872. In the 1960s waterside workers accepted the inevitability of containerisation in exchange for greater job security and improved conditions. Almost twenty years ago, in 1998, Patrick dismissed its entire workforce and in an elaborate and audacious operation sought to replace them with workers trained in the UAE. There were 3,000 workers on the waterfront then. By the end of the year of that protracted and bitter dispute, even after the workforce was re-instated and several court rulings in the MUA’s favour, the permanent workforce was halved through redundancies, casualisation and other productivity changes. VICT is the world’s most advanced automated container handling facility. It is technically possible to load and unload a ship from a computer terminal in the Philippines. Remember the promises made during the Port Capacity project? There would be no noise from Webb Dock because computers don’t drop boxes (containers). There would be no annoying reversing beepers because automated vehicles don’t bump into each other. There would be no more workplace accidents because there would be no workers on site. Tom Hills, wharfie and Vice President of the Waterside Workers’ Federation (Melbourne) said long ago: “it’s a nice word, progress, but what it means is putting dollars before humans. I don’t want men to carry 180 pound bags on their back like I had to”. 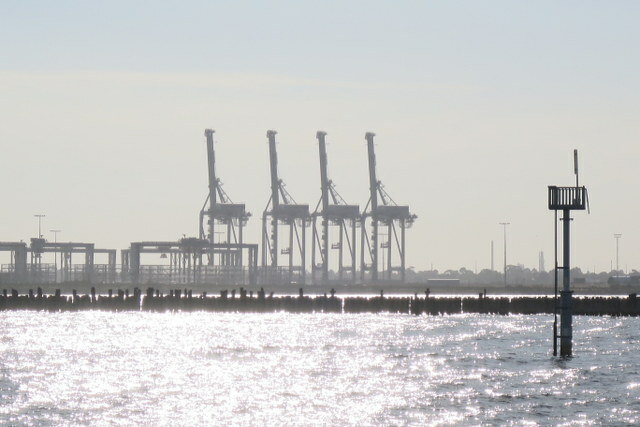 Could he have imagined the current and future Port where automation has rendered conventional dock workers almost redundant or that a scab was not a man, but a machine operated at a remote computer terminal. The dispute lasted from 27 November to 15 December.